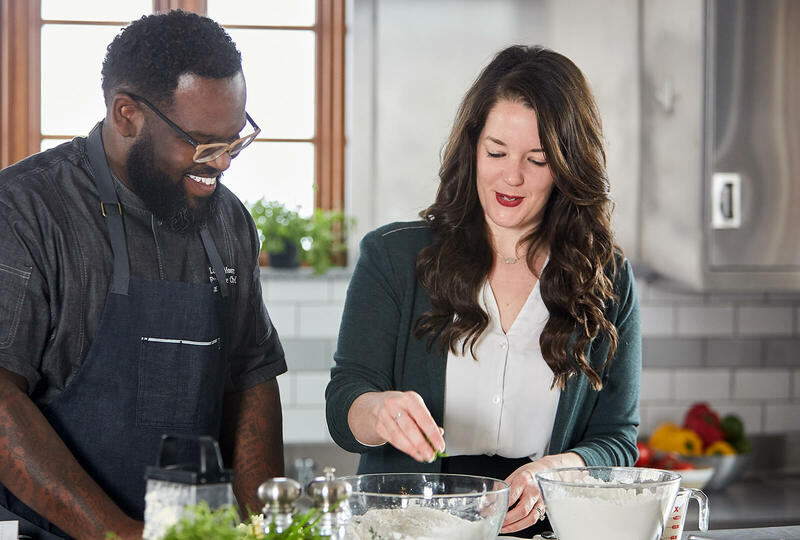 From the African roots of Southern soul food to the eating habits of trendsetting millennials, Hormel Foods is exploring the dishes and stories behind food heritage through an online video series called Cooking and Culture. 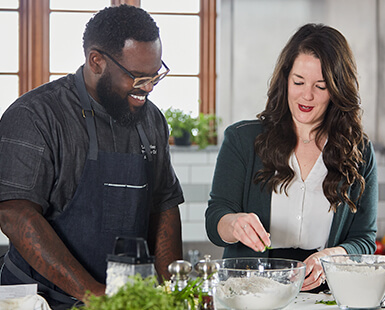 Chef Lamar Moore, executive chef and restaurateur, and Megan Elliott, brand manager at Hormel Foods, joined us for this episode of Cooking & Culture. Preheat oven to 425°F. In a large bowl, whisk the first five ingredients. Cut in butter until mixture resembles coarse crumbs; stir in cheese and chives. Add buttermilk; stir just until moistened. Turn onto a lightly floured surface; knead gently 8-10 times. Pat or roll dough to 3/4-in. thickness; cut with a floured 2-1/2-in. biscuit cutter. Place 2 in. apart on a greased baking sheet. Bake 10-12 minutes or until golden brown. Heat one tub of Lloyd’s® barbeque according to package directions. 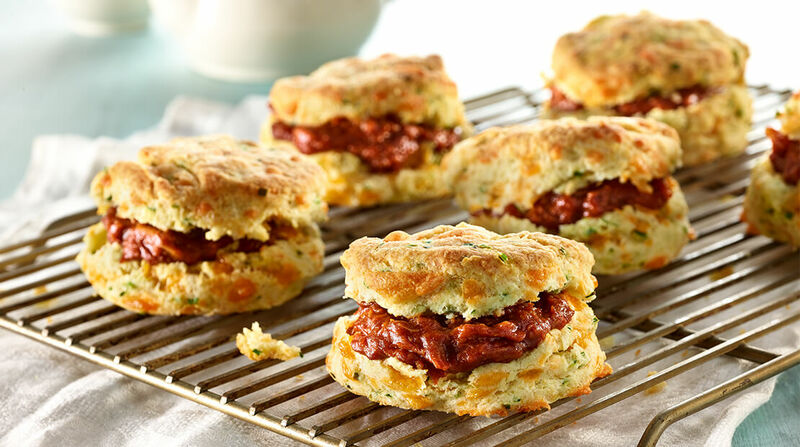 Slice biscuits and fill with barbeque. Serve warm. Food is comfort and it is love. Pre-heat grill pan on stovetop, coat with melted butter. Combine mayonnaise, crema, garlic in mixing bowl and set aside. Place corn directly over hot side of grill pan and cook, rotating occasionally until cooked through and charred in spots on all sides, about 8 minutes total. Transfer corn to bowl with the mayo mayo mixture, cheese, and chili powder. Use a large spoon to evenly coat corn on all sides with mixture. 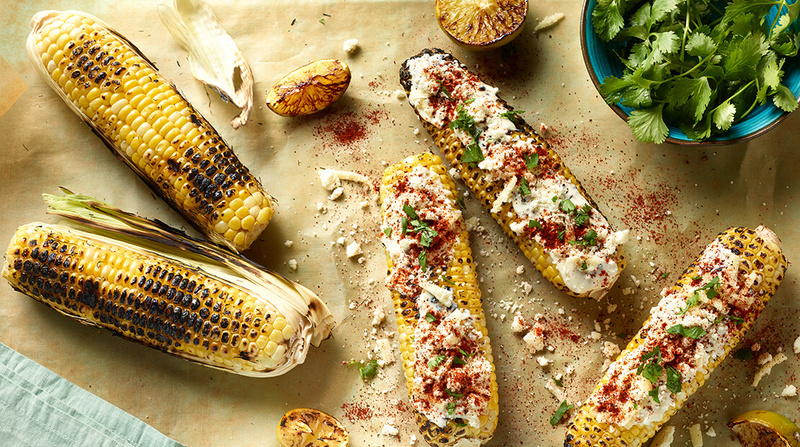 Garnish with chopped cilantro and serve immediately with lime wedges. In a small bowl, dissolve the cornstarch in the water and set aside. In a large saucepan, melt butter and add the flour, stirring regularly, for about 5 minutes, until the mixture turns golden brown. Add the beef and chicken broth and bring to a boil, stirring with a whisk. Stir in dissolved cornstarch and simmer for 3 to 5 minutes or until the sauce thickens. Season with pepper. Taste and add additional salt, if necessary, to taste. Make ahead and re-warm or keep warm until your fries are ready. 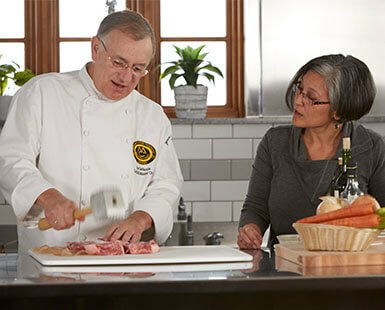 Prepare your potatoes and cut into 1/2-inch thick sticks. Place into a large bowl and cover completely with cold water. Allow to stand at least one hour or several hours. 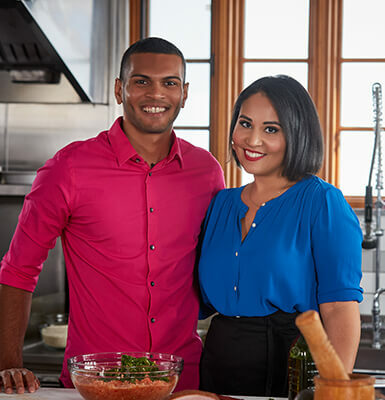 When ready to cook, heat your oil in your deep fryer or large, wide, heavy cooking pot to 300° F.
Add your fries to the 300°F oil and cook for 5-8 minutes, just until potatoes are starting to cook but are not yet browned. Remove potatoes from oil and scatter on a wire rack. Increase oil temperature to 375°F and return the potatoes to the fryer to cook until potatoes are golden brown. Remove to a paper towel-lined bowl. Add your fried or baked fries to a large, clean bowl. Season lightly with salt while still warm. 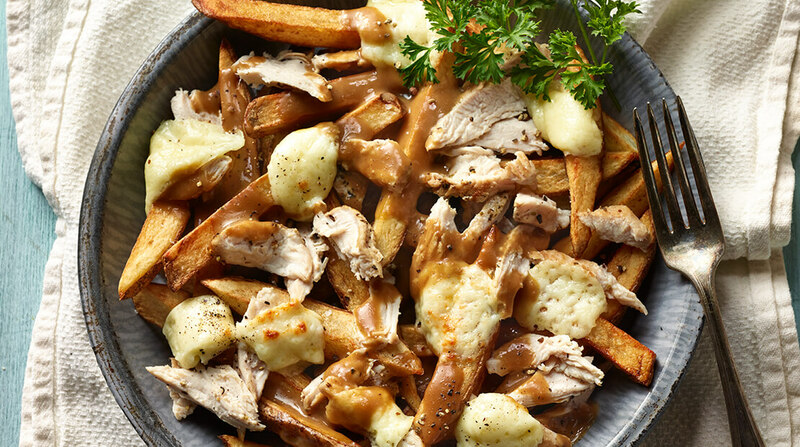 Add a ladle of hot poutine gravy to the bowl. Toss the fries and turkey with tongs in the gravy. Add more gravy, as needed to mostly coat the fries. Add the cheese curds and toss with the hot fries and gravy. Serve with freshly ground pepper immediately.